Recently I read To Kill a Mockingbird by Harper Lee. I think this book was really motivating to read because each section leaves us urged to know what will happen next. It is very scary to see what will come between Tom Robinson, Atticus and Mr.Ewell. The protagonist is Atticus Finch. His story is set in Alabama during the Great Depression. This location is significant because slavery was intense in Alabama and after the Civil War issues were not getting better. Atticus is a white man defending a black man, Tom Robinson, which was really rare at the time due to segregation and Jim Crow. The significance of the “setting shifting from Atticus’s backyard to the courthouse when he was defending Tom Robinson. 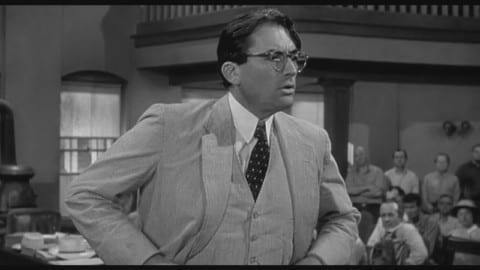 At home we understand Atticus better because in the courthouse Atticus is defending Tom Robinson while at home he’s defending no one. Atticus faces certain forces and pressures. He is defending a black person which he feels he must do, since Tom did not do the crime of which he is accused. According to the scene on page 43, “For a number of reasons. The main one is if I didn’t, I couldn’t even tell you and Jem not to do somethin’ again.” This quote shows how Atticus feels that he has to defend Tom Robinson, since he feels that it’s the right thing to do regardless of anyone’s race. The tension rises when Tom Robinson is pronounced guilty in the courtroom. Mayella is to blame for violent actions that could be proven wrong. I say this because in the courtroom when the judge asked Mayella which hand Tom Robinson hit her with she said his left, when his left hand is unavailable. Atticus decides to keep up with ambition and to not give up. He believed they could win next time but, later on Tom died. The falling action resolves the conflict. Ewell eventually was killed by Boo Radley. It was a drastic movement. The play To Kill a Mockingbird, truly shows what kind of cruel person Ewell is. People should consider reading this. The Confused Atticus by Hatou is licensed under a Creative Commons Attribution-ShareAlike 4.0 International License.